In a world where nation-states respected international law, the murder in Istanbul of the Saudi journalist, Jamal Khashoggi, would be a case ripe for a global tribunal. The alleged brazen detention, torture, and probable dismemberment of the celebrated columnist prompted outrage from human-rights activists, the media, and governments around the world. In the US, politicians from both sides of the aisle demanded that President Donald Trump investigate the extrajudicial killing and sanction those responsible. Lawmakers also called for the end of arms sales to Saudi Arabia and for a reevaluation of the bilateral relationship. So far, Trump has made only hesitant acknowledgements of Khashoggi’s death; these came after weeks of ambiguous comments that seemed to accept the Saudi denials of involvement in the murder. Saudi Arabia later admitted that Khashoggi was killed during a physical altercation inside the Saudi consulate in Istanbul. The president’s unwillingness to denounce a brazen violation of international law has angered opponents who view the stance as yet another short-sighted approach by the administration — like cutting aid to the UN’s agency for Palestinian refugees or withholding funds to foreign NGOs that even mention abortion. Rejection of supranational legal systems is not a novel policy for US leaders. Nevertheless, the Trump administration has expressed its disrespect for any kind of global oversight in especially harsh terms, which come as the US caps off nearly two decades of a legally contentious war on terror. Activists and International Criminal Court (ICC) proponents, however, fear a primary consequence of Trump’s hostility will be to embolden despots and encourage nations to act without restraint — as the Saudis ostensibly did in an effort to suppress dissent. The administration’s hard line was clearly articulated by National Security Advisor John Bolton’s assault on the ICC in September. 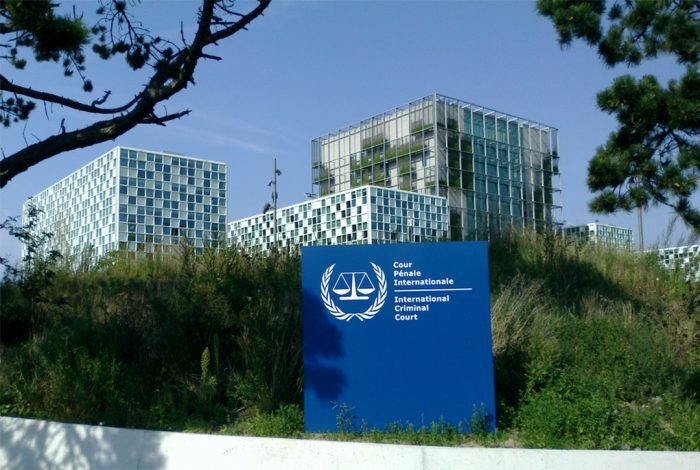 Established in 1998 with the signing of the Rome Statute, the ICC is a branch of the United Nations charged with prosecuting individuals found guilty of genocide, war crimes, and/or crimes against humanity. The ICC differs from the UN’s principal judicial body, the International Court of Justice (ICJ), which was established in the 1945 UN Charter. The ICJ settles legal disputes between countries, e.g., disputes over waterways or treaty violations. Both tribunals are located in The Hague, Netherlands. The speech specifically targeted the ICC’s investigation into possible war crimes committed by the CIA and US servicemen post–9/11. In November 2017, the ICC requested an investigation into US tactics, saying it had a “reasonable basis to believe that” war crimes were committed in “secret detention facilities” in Afghanistan and around the world. The facilities, commonly known as black sites, were allegedly used for the torture of unindicted suspected terrorists. “If the prosecutor receives authorization to investigate black sites, there will inevitably be charges against Americans,” John Washburn, founder of the American NGO Coalition for the ICC, told WhoWhatWhy. Because of the gravity of the acts committed and the absence of relevant national proceedings against the personnel involved, the Court argued it had a mandate to investigate. Bolton even threatened to sanction and criminally charge ICC judges and prosecutors. 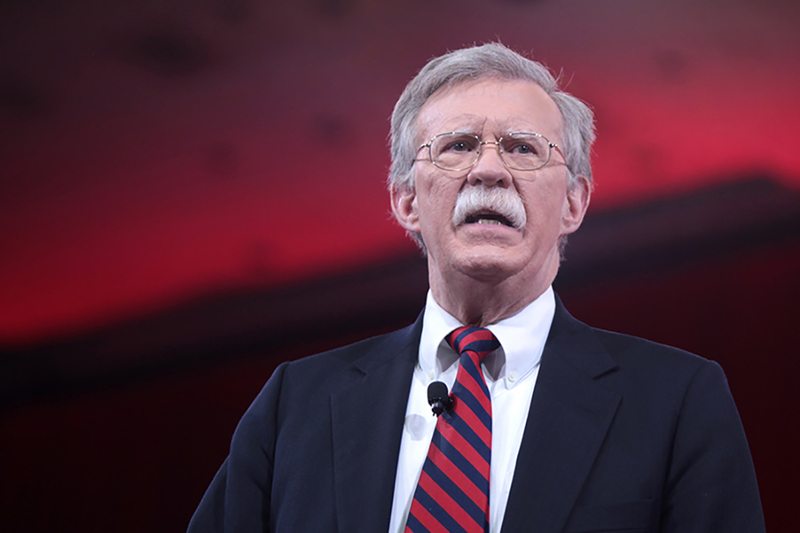 Although Bolton’s pronouncement was extraordinarily blunt, the policy of shielding US personnel from the ICC is in line with the views of past administrations. “I will not, and do not recommend that my successor submit the treaty to the Senate for advice and consent,” President Bill Clinton said in 2000 when he signed the Rome Statute. Clinton maintained that “significant flaws in the treaty” were an unacceptable threat to US sovereignty. All the while, the US continued its global War on Terror, which included torture and the detention of suspected terrorists for years without trial. Related: Why Isn’t the Mainstream Media Honest About US Torture? President Barack Obama took a more collegial approach to the ICC, even encouraging certain investigations, such as a probe into possible war crimes committed by Colonel Muammar el-Qaddafi during the Libyan revolution. He also supported the ICC’s indictment of the sitting Sudanese President, Omar Al-Bashir, for crimes against humanity, in 2009. Nonetheless, Obama continued to ensure immunity from the ICC for US personnel as the government ramped up drone strikes against suspected terrorists — including US citizens abroad — and expanded its support for the Saudi-led war in Yemen; the UN has criticized both these actions as possible violations of international law. Still, the US continues to face lawsuits before international tribunals. In July, Iran filed a case in the ICJ, which argued that renewed US sanctions violated a 1955 amity treaty between the two countries. The US subsequently withdrew from the bilateral friendship treaty hours after the ICJ ruled in Iran’s favor earlier this month. The withdrawal was condemned by Iranian Foreign Minister Mohammad Javad Zarif, who called the US an “outlaw regime” on Twitter. In September, the State of Palestine, which holds non-member observer state status at the UN but is not recognized by Israel or the US, brought a suit against the US at the ICJ, claiming that the Trump administration’s decision to move the American embassy in Israel from Tel Aviv to Jerusalem violates international law. With no enforcement mechanisms, the two international courts are largely dependent on the cooperation of nation states, making it all but certain that the US will not be held accountable for any unlawful actions abroad. Although equally concerning for judicial advocates is the increasing trend of global strongmen — like Saudi Crown Prince Mohammad bin Salman or Philippines President Rodrigo Duterte — bucking international constraints without hesitation. Moreover, while Trump’s position is rooted in the belief that national sovereignty is of the utmost importance, violations of international law are becoming increasingly transnational — as Khashoggi’s murder demonstrates.